INSPECTION	SGS OR SIMILAR ACCREDITED AGENCY ON LOADING AT SELLERS’S EXPENSE. Banking procedure	1. After signing of the contract the Buyer will issue to the Seller Stand By Letter of Credit for the sum equal to the cost of 2 (two) monthly parties of the goods and validity for 395 days. 2. The Seller within 10 working days upon receipt and verification of Stand By Letter of Credit will issue a PB -2 % of the cost of the monthly party of the goods and will grant the Proof of Product. 3. The Seller shall perform delivery of the first lot of the Goods within 45days from the date of receipt and verification of Stand By Letter of Credit. 4. 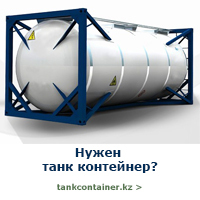 Payment for each tanker delivery of the Goods has to be made by the Buyer by direct bank transfer (T/T), directly to the Seller’s account within 7 (seven) banking days after the goods delivered to the destination port and complete set of shipping documents has been sent to the Buyer’s Bank. 5. The Stand By Letter of Credit which is on the Seller’s account is a mortgage instrument guarantying direct payment for the delivered goods and can be accessible to the Seller only in case of default by the Buyer the Item 4 of the present procedure. Work procedure: 1.Buyer issue ICPO; 2. Seller issue FCO; 3. Buyer signs FCO and returns to Seller with a color copy of passport of the signatory of the contract and a copy of the registration of the company 4. Seller provides Draft Contract; 5. Signing of the Contract. 6. Execution of the contract.